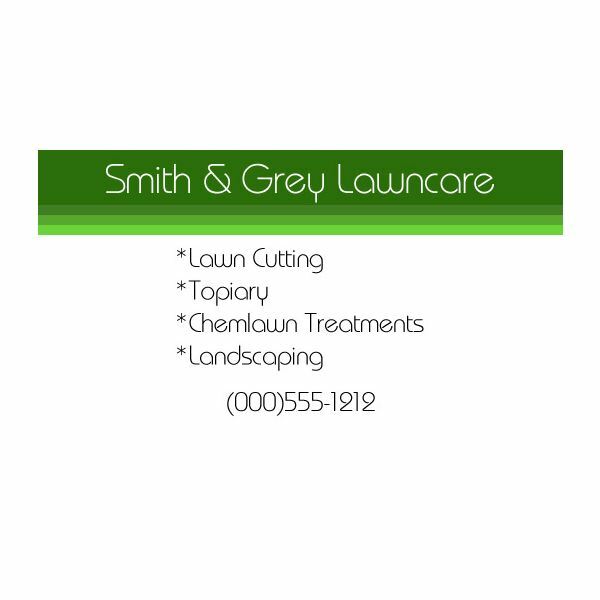 The first lawn care business card is meant for those who are keeping a low budget and do not want to spend a lot on ink. 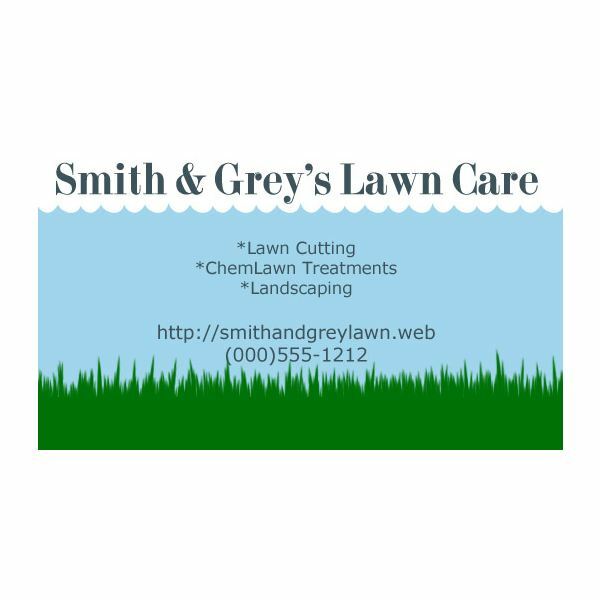 It's a bold, straight-forward black and white design that includes two tree "cutouts" in the top bar to help tie the theme back to landscaping, lawn care, or gardening businesses. The bold, yet very professional design helps it to stand out from other black and white cards without having to rely on color or images. The second card is a softer, more colorful design that focuses on an overall theme of a lawn for the card. The top part of the card includes an optional cloud design to offer some separation of elements as well as reduce the use of ink when printing. This design will stand out from a lot of business cards, but has the distinct drawback of using a lot of ink. It's a nice design for those of you who are looking to spend a little more per card to get it to stand out among other cards. 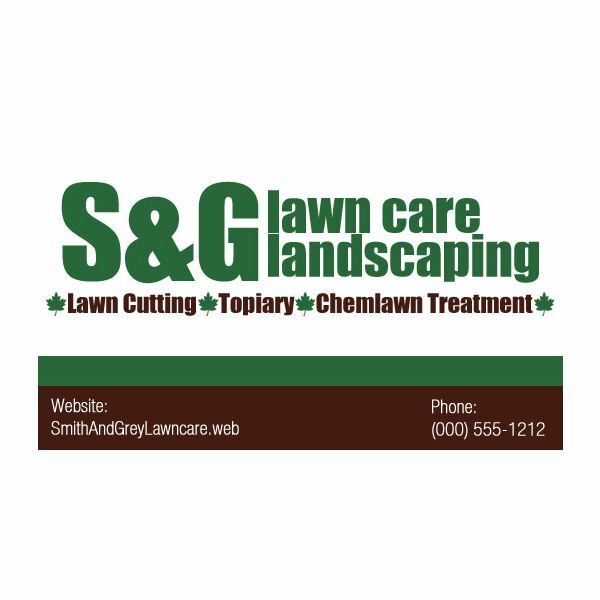 If you're looking for a colorful, yet very professional lawn care business card, this one could be your best bet. Utilizing a colorful green top bar and a thin, modern font, this is perfect for modernists and minimalists alike. It stands out without being too bright and without using too much ink, and is sure to get you noticed. If you're looking for a different font to customize these cards, why not check out Free Fonts for Professionals? If you're looking for a simple card, try out this one. 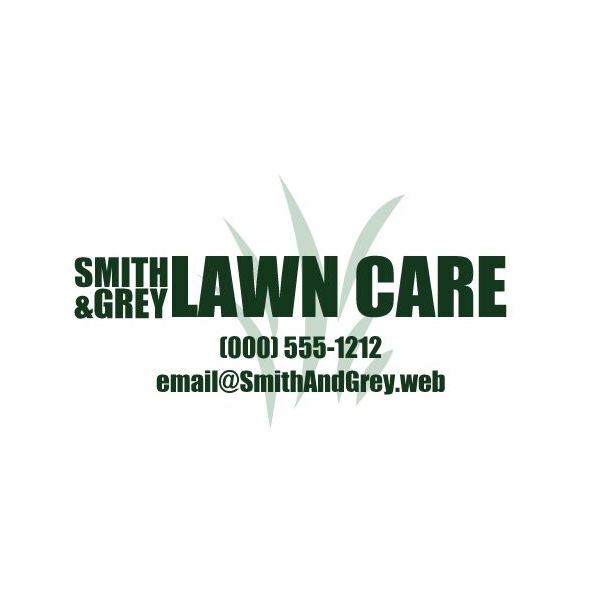 It's a white card that has a light background overlay of some blades of grass. Over the top is a bold font that provides a nice way to position the name of your business. This is a very minimalistic card but feels extremely professional and stands out well, compared to other cards. The final card is the one that stands out the most, both artistically and professionally, and features a white, brown, and green color scheme that incorporates both form and function. It features a very nice typographical layout that offers space to put the name of your company, the services provided, and also your contact information, such as a website, email, and phone number. This one is personally my favorite out of all five that I designed. References: All business cards were created by Amber Neely, and information included is based on her experience in graphic design. 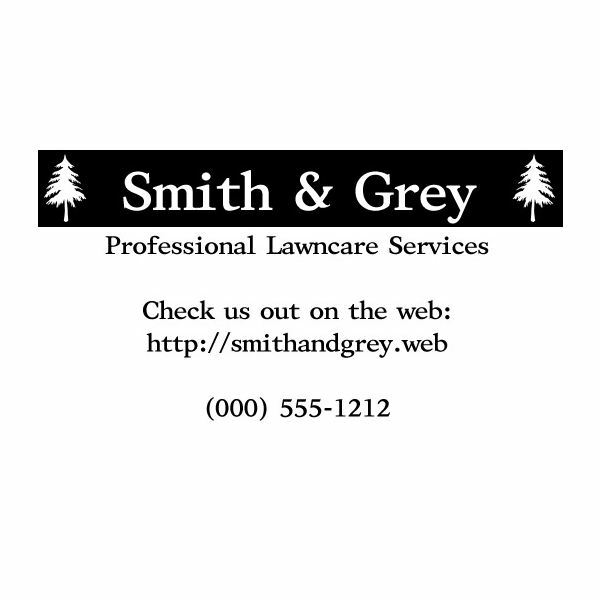 Download: All five of these business cards are included in a single pack here: Free Business Cards for Lawn Care Professionals.